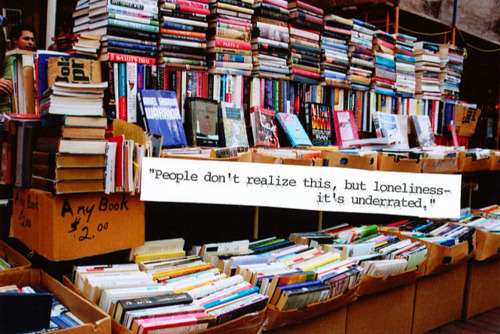 This one comes from an awesome tumblr site I just stumbled into: Booklover, dedicated to "sharing and spreading book love with delicate pictures, amazing shelves, memorable libraries and intense quotes." I think I'm in love! When I see piles of books like that I just want to roll around in them like a cat in catnip. i get a bit nervous from the mash up...lol. i organize my books by color. :) the quote is great though...and true. i'm off to check out the site. have a nice weekend.